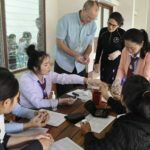 Classes are designed to integrate Informative “chalk board talks” and power point presentations in Lao and English with interactive case scenarios, small group discussions and hands-on skill workshops. Subject areas covered in the trainings include: Advanced History and Physical Assessment, Emergency Medicine, Pediatrics, Reproductive Health and Women’s Health, Internal Medicine and Infectious Disease. At the outset of every training, HLI physicians and their Lao co-trainers assess the medical knowledge base of each student cohort group in order to adjust and tailor the course content and level of difficulty accordingly. In past years, the clinical faculty has offered training to two different populations in Lao PDR: District health workers serving rural areas –some with limited medical education — and University of Health Sciences (UHS) physician interns in the capital city, Vientiane. 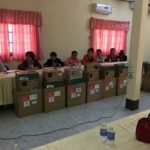 On the first day of class, each student receives Lao editions of two basic medical textbooks: Where There Is No Doctor and Where Women Have No Doctor. 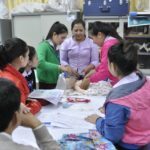 Upon successful course completion, students are given a stethoscope, blood pressure cuff, suture tools and bandages and Lao translations of all class content. 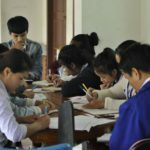 In 2012, HLI began offering its trainings to second year Medical Assistant students at the brand new College of Health Sciences CHS) campus in Luang Prabang. This handsome new facility trains mid-level health professionals — Medical Assistants, Nurses, Midwives and Pharmacists –from the Northern Provinces.